As a follow-up to “Love Me”, released earlier this year, Chidinma has dropped a new single titled “Yanga”. Released on the singer’s birthday, “Yanga” follows the same romantic theme heard on the previously released track. But unlike “Love Me”, which tells the story of a couple who fight but ultimately end up together, “Yanga” finds Chidinma demanding for public declaration of affection from a lover who appears to be indecisive, or unwilling to go public with their feelings. Please click on the link on my bio to see my new video.. Udo! Like Tiwa Savage’s 2010 classic (“Kele Kele Love”) Chidinma’s “Yanga” is plea to be shown off. Only Chidinma’s single is more persuasive than threatening. Singing over the pacy traditional drums and Afropop instrumentals, she promises (or threatens) to show her lover off “Because Dem No Know”. The video Mex Films directs highlights the song’s cheerfulness through the colorful costumes and set designs showing Chidinma dancing with a flashmob till she eventually convinces her lover to join her on a date. 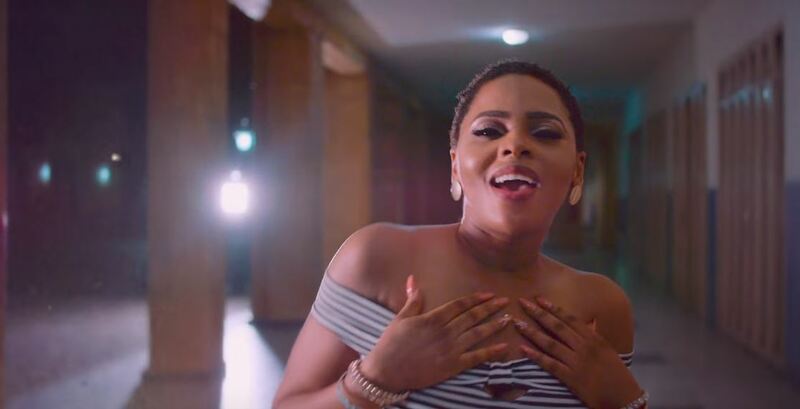 Watch the video for Chidinma’s “Yanga” below.